Sometimes a rider does everything they believe possible to improve their performance and they still don’t make progress, whether that’s advancing in class, achieving higher scores, or creating a better rapport with their horse. While it may seem like they’ve exhausted all their resources with trainers, equipment, and fitness programs, there may be one avenue left to explore: the sports psychologist. It varies around the world. In the United States for example, a sports psychologist is someone registered at the doctoral level as a psychologist or counsellor, and their education includes a period where they worked with real patients. American sports psychologists must be licensed by their state, which means sitting for an exam. While there are masters and doctorate graduates who work in sports psychology, they sometimes come from the study of kinesiology and biomechanics and therefore have no clinical training. As a result, they cannot call themselves a “sports psychologist” and must use a term like “consultant”. The Association of Applied Sport Psychology (AASP) is currently trying to bridge the gap between the two worlds. They offer credentialing as a Certified Mental Performance Consultant (CMPC) for practitioners who meet their criteria to identify them as having sufficient background to perform the same tasks as a sports psychologist. In Europe, titling and credentialing is equally complex, with most countries and states having different rules regarding the practice of sports psychology, which is less prevalent there but gaining ground. The European Federation of Sport Psychology (FEPSAC) is working on a certification for specialists in sports psychology with more uniform standards, but it is still in development. In Europe and elsewhere outside the USA, performance coaches are far more common due to the lack of formal psychologists in this field. Due to the growth in recognising sports psychology as a high-demand specialty, many nations are making it easier to credential and find sports psychologists, including Canada and Australia. Back when Jenny Susser, PhD, started working as a sports psychologist in the US in 2002, the field was so little known that when she set up a booth at the Gladstone Festival of Champions, “people thought I was selling magazines or working with horses,” she laughs. Now she is in high demand, counselling all levels of rider, including the US Olympic Team. Riders may be left wondering how to find the best practitioner to help get inside their heads and improve performance by focusing on mental aspects of competition. While it’s great to look for official credentials and licensing, it may not be possible to find sports psychologists everywhere. The key is to seek out practitioners who have experience with equestrians, who ideally have worked with elite riders, who have past clients willing to give testimonials, and who use the same methods as formally trained psychologists, which all rely on science-based techniques (see below). For some situations, long-distance phone conversations may also be feasible to work with a practitioner of choice. Why do riders seek psychological help? Competitive equestrians usually reach out to sports psychologists, consultants, and performance coaches when they reach a level of frustration that can’t be alleviated with other methods. 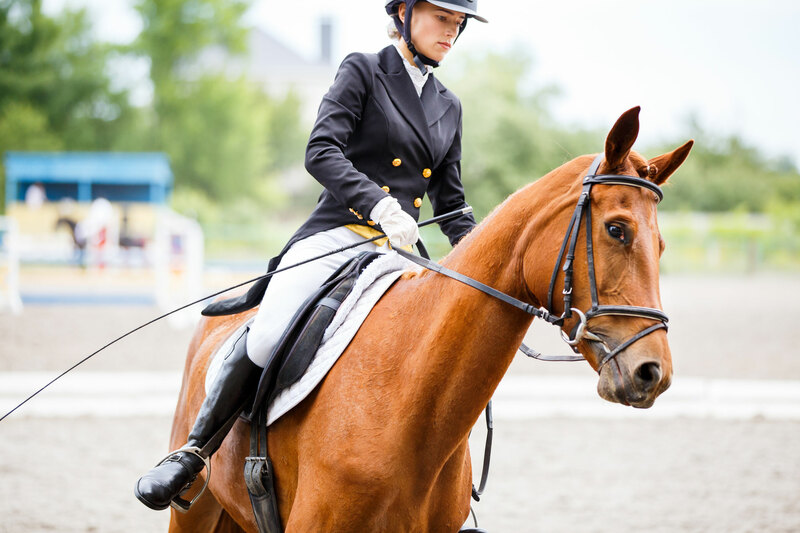 Sometimes this is a problem particular to riding, such as performance anxiety, while on other occasions the athlete may be experiencing issues that affect all aspects of life. It’s not unusual for elite equestrians to see both a “regular” psychologist and a sports psychologist when going through major upheavals, like divorce or starting a family. “It’s impossible to separate your personal life from your athletic performance,” says Dr. Susser. Her job is to help the athlete compartmentalise, so their personal problems don’t bleed over into the arena. Dr. Susser admits many riders don’t call soon enough and wait until a concern has morphed into a major performance challenge. 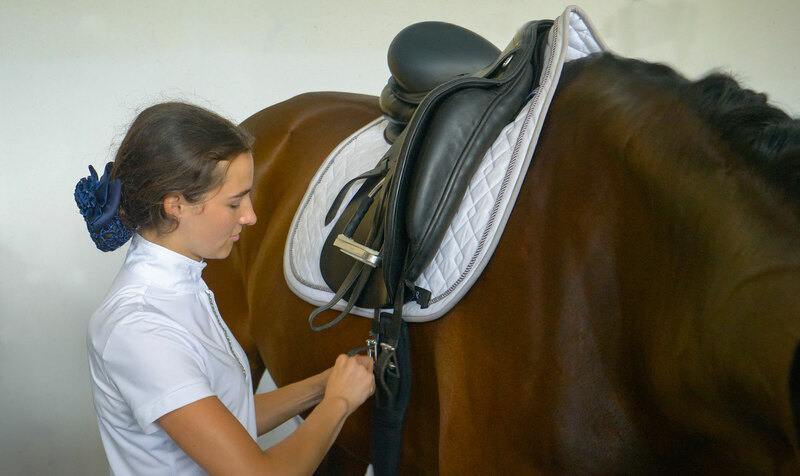 Whilst many of Susser’s clients come to her with a fear of their horse (a problem that is more easily solved by changing mounts), a large percentage are also worried about performance. Likewise, Tonya Johnston, an American equestrian mental skills coach with a Master’s degree in sports psychology, says the bulk of her consultations arise when athletes feel their equestrian performance isn’t lining up with their potential. Jim Hickey, an international Jumping performance coach based in Ireland, agrees. Hickey has worked with Olympians and two medalists from the recent FEI World Equestrian Games™ at Tryon, although he happily partners with Jumping athletes of all abilities. He helps riders identify confidence killers in the ring and sees awareness of problems as key to improving performance. Fear of making mistakes and overthinking are two common equestrian complications in Hickey’s business, as is lack of sufficient mental preparation. How do sports psychologists and performance coaches help? It is with mental prep that sports psychologists and performance coaches can often be most helpful. At the upper levels of Jumping, Jim Hickey recommends making a mental skills coach part of the team, along with trainers, grooms, and farriers. Like making a plan with their trainer about what shows to enter and how to build their equitation skills accordingly, riders should have a psychological plan for attacking new goals and challenges. Waiting until line up at the in-gate isn’t the time to begin thinking about the ride. One of the best ways to prepare for any kind of equestrian competition is to use mental imagery well in advance of the event. This technique requires that athletes find a quiet spot, close their eyes, and mentally see themselves going through their event, not like watching a film of competition but through their own eyes every step of the way. She recommends developing a kinesthetic awareness that turns mental imagery into a full-body exercise, so riders can almost feel the ride at the same time they are picturing it. Once riders get good at the technique, they can use it anywhere, even in a car outside the arena. Jim Hickey echoes this advice and suggests the more riders can get comfortable with competition circumstances, the better they do. He recommends building jumping courses at home, watching role models ride, and going the course mentally without any interruptions immediately after walking it. He also encourages using mental imagery first thing in the morning and last thing before sleep at night. Just as they need to do weight training in the gym, they need to do at least 10 minutes of mental strength training every day. These techniques work at every level, including with professionals, as McLain Ward attests when interviewed in Tonya Johnston’s book Inside Your Ride, also now a podcast. Two great points made by Ward are that there is always more to learn no matter what the rider’s degree of success and that consistency is what the rider can control. So, why not put that mental edge to use in competition? 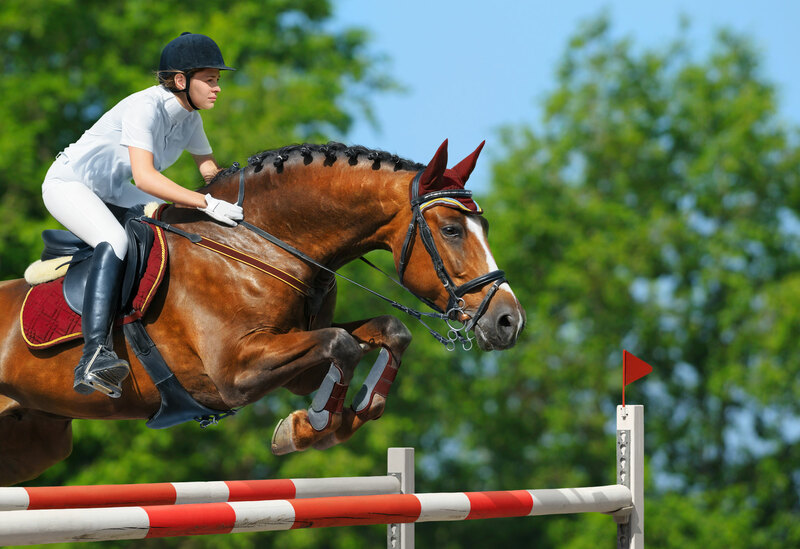 Richard Spooner is another jumper who advocates the use of mental imagery. According to Johnston, who spoke with him for her book too, he is known for going over every detail of a competition again and again in his mind, thinking about how different horses react and what is needed on specific tracks. There are multiple ways to tweak strategies like using mental imagery, says Dr. Susser. Sometimes trial and error is necessary, based on the individual problem. “Having a toolbox of resources at your disposal makes completing an education in psychology necessary,” she explains. Why does sports psychology work? 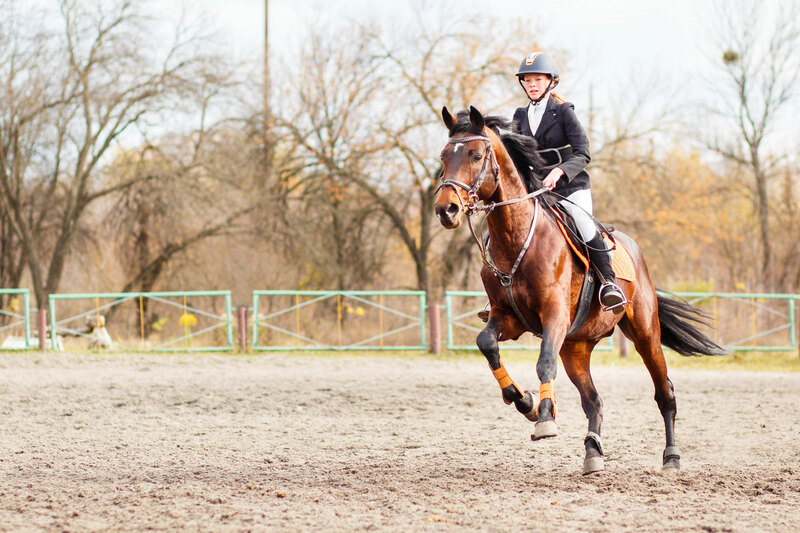 Time can be a factor if a rider is trying to recover from a traumatic fall, for example. In fact, time is usually an advantage and is a vital element of the science behind sports psychology. Neuroplasticity, the brain’s ability to “rewire” itself by making new neural connections, can’t occur instantaneously. Using mental imagery and other components of cognitive-behavioural therapy (CBT) is what Susser describes as “being a mechanic for your brain,” just like fixing a car that needs a new electrical system. For the research behind neuroplasticity, she sends athletes to the writings of Norman Doidge, MD, a thought leader in the field who authored The Brain That Changes Itself. Breakthroughs in the study of how the brain works have been enormous in recent decades, and an understanding of anxiety, a common problem for competitive equestrians, has expanded as well. “There’s no such thing as overcoming fear. Fear is necessary to survival,” says Susser, referring to the human chemical and physical response to stress that has been with mankind since prehistoric days. Susser teaches her clients to be “powerfully responsive to fear,” to understand how they uniquely react to it and to work within the reality of human physiology. Some sports psychologists use biofeedback, such as monitoring heart and respiration rates, to provide a quantitative analysis of athletes’ fear response. This lets them know when certain triggers may provoke a detrimental fight-or-flight reaction and when relaxation and positive self-talk or other techniques are effective in promoting peak performance. Additionally, many riders lose their power when they get involved with horses because working with another living, breathing creature evokes an emotional response. They stop thinking and revert to childhood patterns - patterns that aren’t always helpful in the show ring. 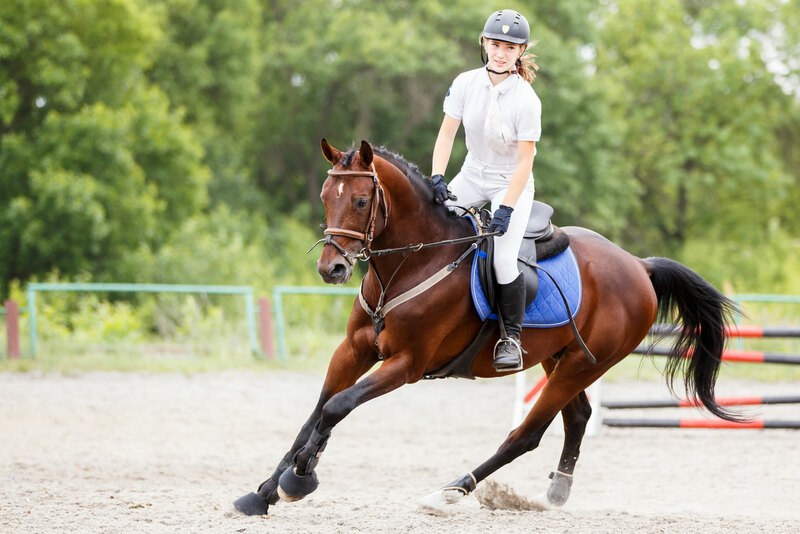 The answer is to harness their adult skills outside of equestrian sport. Susser likes to tell the story of a client who was an international jet airline pilot but was afraid to canter her horse. Using work strategies, like making a checklist and being well prepared, helped this rider transfer her career confidence to her riding. “The body can’t tell the difference between a real event and an imagined one,” reminds Tonya Johnston, and research shows brain changes are similar in both.